High quality, quilted harness with a soft interior padding to match your ZuGo Pet bag or just to have your pet look more stylish. 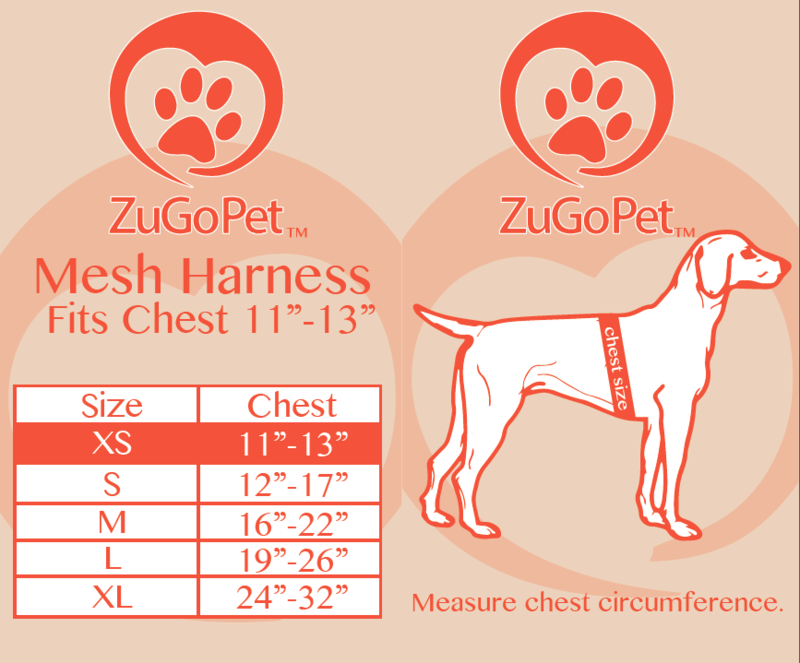 You can choose from 3 different ZuGo Pet colors available in 5 pet harness sizes. 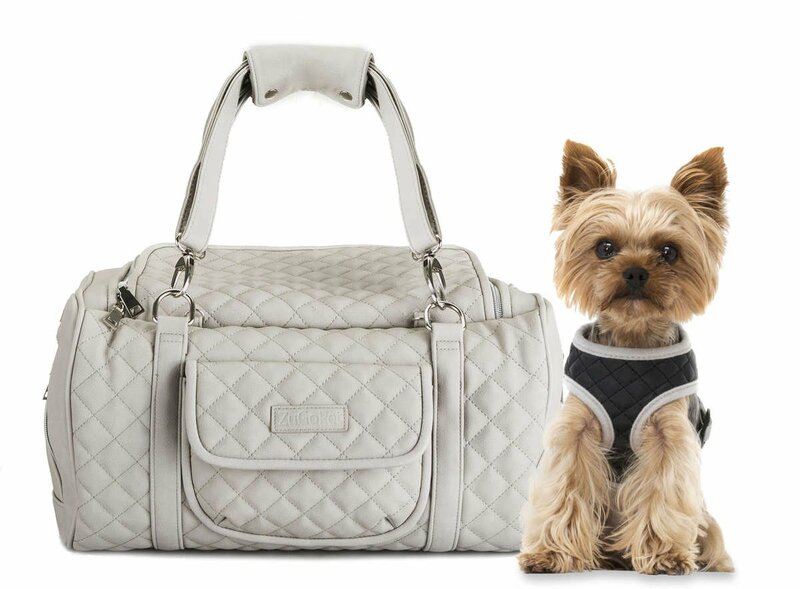 Our high quality, quilted harness with a soft interior padding to match your ZuGo Pet bag or just to have your pet look more stylish. †The ZuGo Pet bag is only used as a distraction tether. It has not been crash tested and is only use in the car to help with distractions in the car. 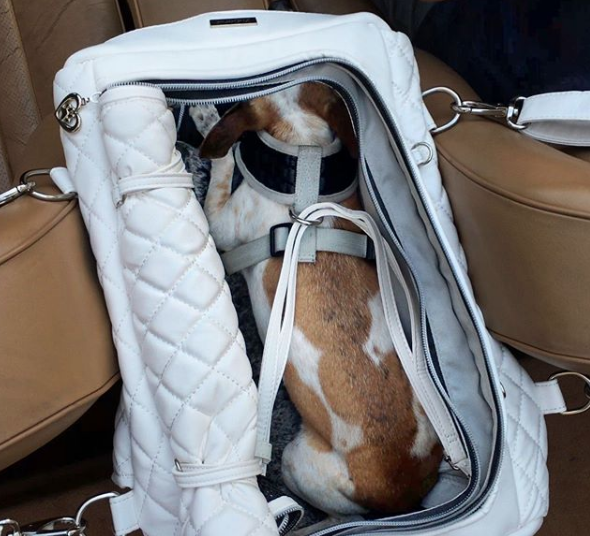 Use the large D ring on the harness to loop through the interior strap to keep your dog inside. This harness is well made! I purchased the small for my pomeranian that has a 13 inch chest. It does run small so this was perfect for her. The xsmall would of been to small. I read the first review and went with the next size up. It works great with the Jetsetter carrier! Thanks! The harness runs just a tiny bit small for our little dog. we measured her like the chart said but we didnt take into consideration that she is a long haired chihuahua and has a TON of hair so that makes it uncomfortable on her. she hates it! so we use her old one.